In just 45-minutes you will have a perfectly tender baked potatoes on the barbecue. Just bake them on the grill the same way you would in an oven, wrapped in foil! Cooking baked potatoes on the barbecue is probably one of the easiest and most delicious dishes to make on the grill. We really love potatoes over here–fried, mashed, roasted and of course baked. When it comes to making potatoes on the barbecue, I find making grilled baked potatoes and using the same baked potato method as you would in the oven results in perfectly cooked (and not burned) potatoes every single time. How do you make baked potatoes on the barbecue? Start by scrubbing the potatoes and piercing them with a fork–this allows the steam to escape while they cook. The next step is to rub them in olive oil, sprinkle with salt and then wrap in foil (this protects them from burning) and then all you have to do is place them on the grilled. Piercing them with a fork helps to avoid them from exploding on the grill–it’s never happened to me, but I did some research and apparently that’s the reason we pierce potatoes before baking them. Once they are on the grill, they cook for about 45 minutes, give them a flip and turn every so often to ensure even cooking. I find using smaller potatoes is a good option here as larger ones will take longer to cook. 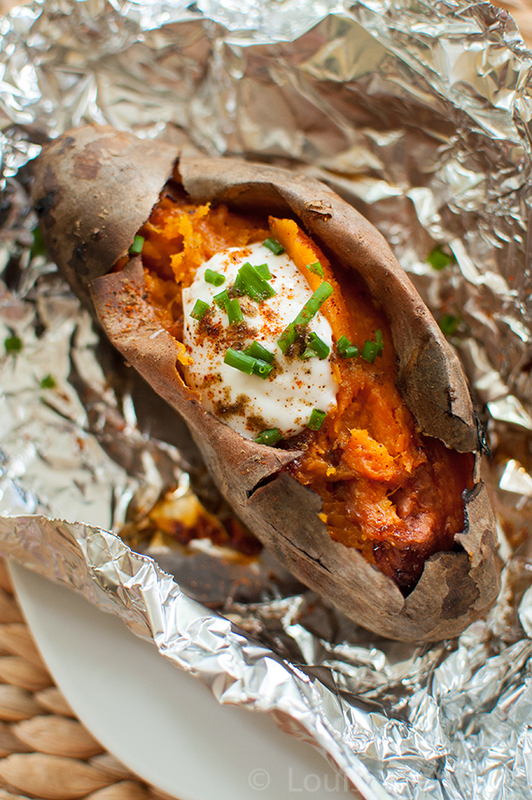 Try making baked sweet potatoes on the barbecue for another summer side. Can I cook a baked potato on the barbecue without wrapping in foil? I wouldn’t try cooking these potatoes on the grill without the foil, the skin of the potatoes will end up burning before the inside is done. Keep in mind that the potatoes will be on the grill for 45 minutes to one hour, pretty much anything would burn in that amount of time! I’m always extra careful when removing them from the grill because they will be insanely hot, so be sure to allow them time to cool before unwrapping the foil and slicing into the tender and pillowy potato–trust me, it’s worth the wait. What kind of potatoes should I use? Starchy potatoes like a russet potato is sturdy enough that it’s great for baking or grilling. All-purpose potatoes like Yukon gold or yellow potatoes are also a good option. You can top the baked potatoes with sour cream, cheese, bacon, chives, butter – all sorts of different flavours. There’s something for everyone when it comes to baked potatoes. This isn’t really a recipe, more of a ‘how-to’ so let’s get started. May is in full swing and with the beautiful, warm weather comes grilling season. Steak, chicken, shrimp, burgers, hot dogs… are all the obvious carnivorous grilling favourites, but we can’t forget about the vegetables. I love the way vegetables caramelize on the grill–charred veggies are a serious flavour bomb. Plus they grill up so quickly, it’s kind of a no-brainer when you’re grilling a main course like grilled chicken wings or turkey burgers. Make simple baked potatoes on the barbecue in just 45 minutes. Wash and pierce the potatoes using a fork. Toss in olive oil and salt. Individually wrap each potato in aluminum foil, and place on the grill for 40-45, rotating and flipping every 15 minutes. Carefully remove from barbecue, allow to cool before removing the foil and slicing into the potatoes. Serve with sour cream, butter, chives and bacon. Enjoy your baked potatoes and grilling season! Let me know if you give this baked potato grilling method a try in the comments below. Don't wrap in foil and then poke with a fork. It makes weird looking black streaks in the potato. 1st I am very suprised by what a excellent writter you are !!! 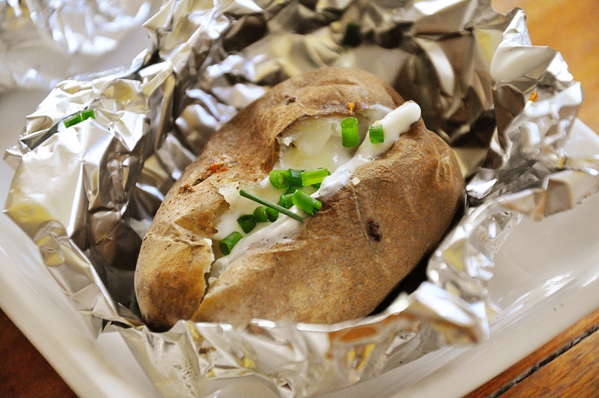 Never store baked potatoes in foil as they are too dense to heat and cool fast enough to avoid bacteria growth. To get a nice texture in your baked potato, slam it on the counter hard after it's cooked, then cut it open and it will be fluffy like those restaurant potatoes. 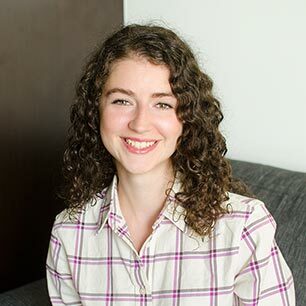 You have a really nice blog. My pleasure, I'm glad you enjoyed this recipe!